Pro anglers rely on MotorGuide for innovation that puts them in the winner’s circle. The new X5 cable-steer motor, our most advanced tournament-caliber motor, is engineered to deliver precise control, quiet operation, and rugged durability. Variable Ratio Steering (VRS) technology is designed to provide maximum control. 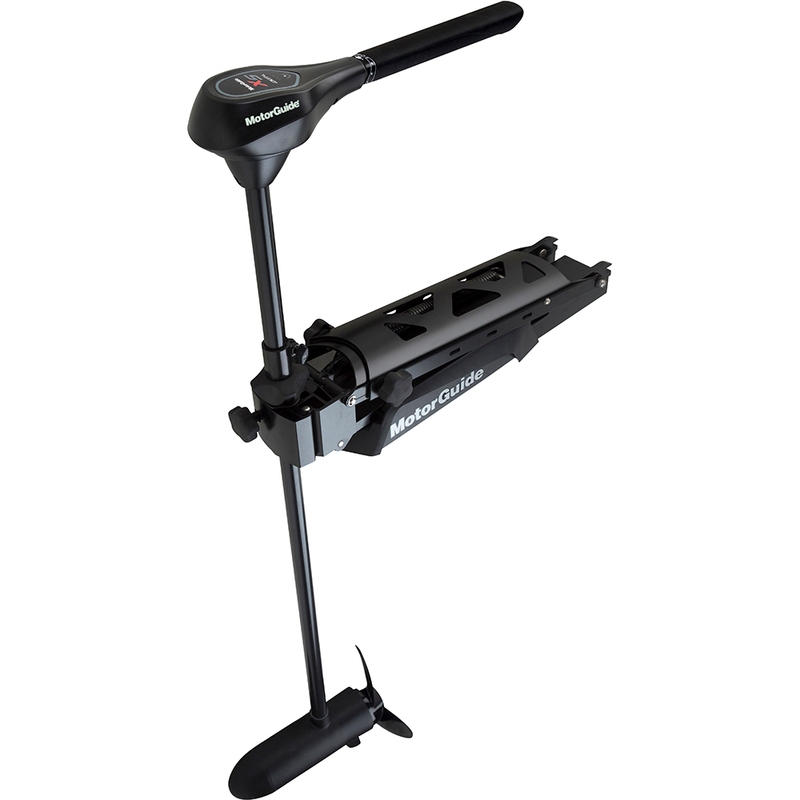 It virtually eliminates the effects of torque steering feedback, so anglers benefit from a more predictable steering response, improved boat stability, and better overall control. Digital Power Management extends battery life up to five times. Digital technology features durable cooler-running power electronics that are 50% more efficient. They also capture and store energy that is typically lost as heat. This improved efficiency means longer run time and fewer battery charges. The X5 mounting bracket is built tough with extruded aircraft-grade aluminum. The wide mount is stable and features a snap-back breakaway mechanism for added protection. And durable, tight fitting composite bushings in key wear points ensure quiet performance and long life. The oversized stainless steel outer column is strong and corrosion-resistant. For additional impact protection, the inner column is made of a premium composite. A newly designed no-flex composite foot pedal provides better feel and control. The X5 is Equipped with premium pull-pull cable steering system that eliminates slack, while VRS technology improves responsiveness.